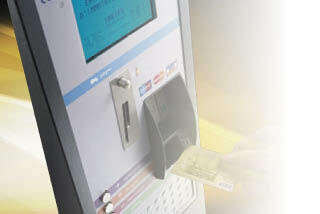 In the latest generation of pay and display systems, the Presto Europa is extremely easy to operate, for customers as well as for maintenance and collection. With its lean, sleek lines, the Presto Europa blends in well with both modern and historical backgrounds. 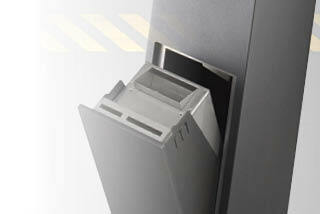 Of minimalist design, this is discreet, contemporary urban furniture. The interior space and electronic components are pared down to a minimum to reduce raw materials use. 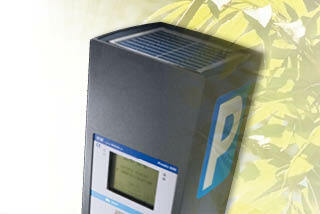 Solar power and autonomous design limit energy consumption while system operation remains quick and easy. 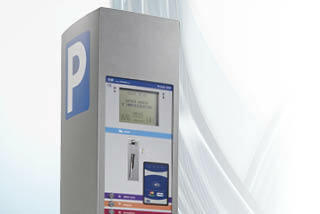 To comply with local parking rules and driver habits, we can integrate any type of payment method to satisfy your needs, either for adding new Presto Europa systems or improving those already installed. For faster, safer payments, why not innovate with contactless banking cards. All of our equipment is tested during the design phase and before each delivery in order to ensure flawless, reliable operation. 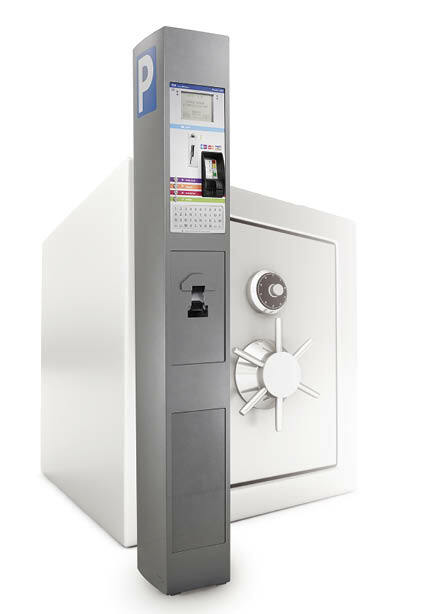 Security is bolstered by electronic locks and a patented stainless steel vault. Data Fed to centralised control station via GPRS.